British retail tycoon Mike Ashley's Sports Direct has withdrawn its offer to buy scandal-hit British cafe chain owner Patisserie Holdings, a source told Reuters today. Sports Direct on Friday offered to buy Patisserie out of administration to enlarge an empire stretching from department stores and sofa shops to lingerie. But it wrote to Patisserie administrators KPMG saying it lacked the information required to continue bidding, British media reported on Sunday. 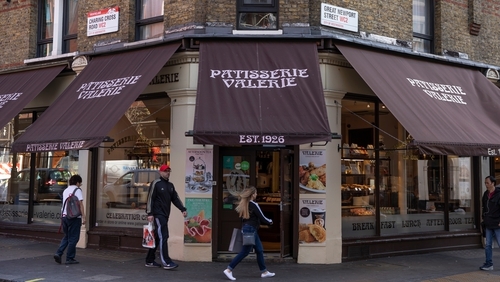 Patisserie Valerie was plunged into crisis in October after its owner uncovered accounting irregularities. It hired KPMG in a last-ditch attempt to save the company, which traces its roots back to a shop founded 93 years ago. The source told Reuters that Sports Direct, Britain's biggest sporting goods retailer, was given the opportunity to access detailed financial information. Chris Wootton, deputy chief financial officer for Sports Direct, wrote to KPMG partner David Costley-Wood, to say it had made an offer in excess of £15m, only to be told it would need to raise this by as much as £2m, the Financial Times reported. Media reports said Costa, the coffee chain bought by Coca-Cola last year, was also interested in Patisserie's assets. Patisserie Holdings' administrators, KPMG, declined to comment on the situation and Sports Direct was not immediately available to comment on its proposal. Mike Ashley, who also owns English Premier League soccer club Newcastle United, made his name building budget chain Sports Direct. More recently he has bought stakes in, or assets from, British retail businesses that have struggled to cope with challenges ranging from the rise of internet shopping to higher business property taxes and sluggish consumer spending. These businesses have included department store groups Debenhams and House of Fraser, home furnishings firm Sofa.com, Evans Cycles and lingerie brand Agent Provocateur.